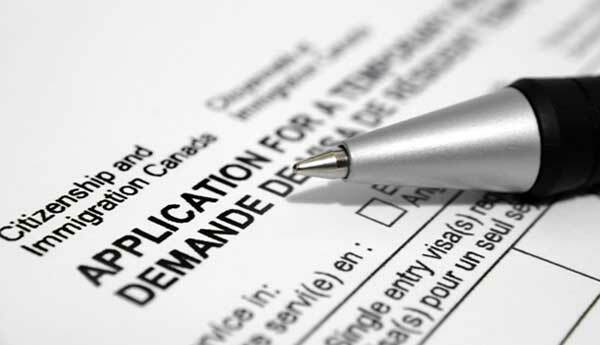 How Do I Resolve Canadian Criminal Inadmissibility? Foreign nationals with an arrest or conviction on their criminal record may be considered inadmissible to Canada and denied entry at the Canadian border. Any visitor who has ever been convicted of a misdemeanor or felony could be deemed inadmissible according to Canadian law unless they obtain special entrance permission from the Government of Canada, especially if the offense happened in the last ten years. People with more than one misdemeanor on their record, along with felons, can be inadmissible to Canada for life unless they fix their situation by applying for special entrance permission. This means that Americans with any criminal record, even a DUI or reckless driving charge, risk being denied entry to Canada unless they are granted special permission to enter. There is also no presumption of innocence when visiting Canada, which means that an arrest with no conviction can still result in a border denial. As of December 2018, impaired driving is a serious crime in Canada. Consequently, Americans are no longer eligible for automatic Deemed Rehabilitation after ten years and could be considered inadmissible to Canada on the grounds of criminality even if their DUI was a single offense from long ago. If you have ever been arrested or convicted of anything that involves alcohol and driving, it is advisible to contact a Canadian immigration lawyer before attempting to cross the border. There are two ways to overcome criminal inadmissibility to Canada. People who are criminally inadmissible to Canada can gain access to the country for up to three years at a time by securing a Canada Temporary Resident Permit. A Canada TRP does not take long to obtain, but is not a permanent solution and requires a valid reason to visit Canada. American citizens who want to permanently overcome their Canadian criminal inadmissibility can apply for Criminal Rehabilitation. Canadian Criminal Rehabilitation can solve a person's inadmissibility issues forever but typically takes about 9 to 12 months to obtain, and a person must have completed all sentencing at least five years ago in order to be eligible to apply. Criminally inadmissible to Canada? Contact us today for a FREE consultation with our Canadian immigration law firm. Crimes that are hybrid offenses in Canada can be treated as indictable and may consequently render a visitor criminally inadmissible to Canada. Traveling to Canada when you are concerned about criminal inadmissibility issues can be extremely stressful, especially when your reason for travel is business related. No one wants to deal with a Canadian border entry denial, and flying internationally can be hectic enough without having to worry about clearing border security as well. A licensed Canada immigration attorney can prepare a Temporary Resident Permit application on your behalf, and mail it to a Canadian visa office in advance of your scheduled travel. It may be possible to secure a TRP Canada before you need to cross the border, which can make the process of going to Canada with a criminal record as easy and safe as possible. Not all criminal offenses are disqualifying for a US citizen who wishes to enter Canada. Disturbing the peace, underage possession of alcohol, open container, and simple possession of marijuana (less than 30 grams) are examples of crimes that will not necessary render an American ineligible to access Canada. Even if you are not classified as inadmissible, however, if you have ever been arrested border officials can likely see this, and you should consider attaining a legal opinion letter before trying to cross the Canadian border. Temporary Resident Permits and Canadian Rehabilitation can both enable Americans to potentially ameliorate their condition of being criminally inadmissible to Canada. What Is the Recommended Way to Overcome Canada Criminal Inadmissibility? If an American is criminally inadmissible to Canada, both Criminal Rehabilitation (CR) or a Temporary Resident Permit (TRP) can effectively allow them to successfully cross the border. Many people are confused about which method the Government of Canada would prefer they follow, however. In general, if you are eligible for Criminal Rehabilitation, this is the suggested route for overcoming inadmissibility. In order to be eligible for Canadian CR, a foreign national must have maintained a clean record for at least five years after finishing all sentencing requirements from all of their past convictions. Immigration, Refugees and Citizenship Canada (IRCC) favors Criminal Rehabilitation over Temporary Resident Permits, which are typically considered a "band-aid solution" for people not yet eligible for the permanent fix. If an American is criminally inadmissible to Canada and he or she is eligible for Rehabilitation, this is the path they are expected to go through. If access to Canada is needed sooner than a Criminal Rehabilitation application can be processed, it is possible to also apply for a Temporary Resident Permit which can provide short-term access the country while a CR application is processing. Anyone who is eligible for long-term Rehabiliation but only applies for a short-term Waiver could risk having their application rejected depending on their unique situation and the nature of their trip. With the exception of crimes against humanity, an offense will only render a foreign national criminally inadmissible if it is considered a crime in Canada as well as the location where it occurred. Provided the essential elements of the offense can be proven, however, a conviction is not necessary to render an individual inadmissible provided the incident happened outside of Canada. If a visitor has committed a crime that would be considered a dual procedure offense in Canada, they risk being denied admittance at the border. According to Canada's Immigration and Refugee Protection Act (IRPA), if a foreign crime can be equated to a dual offense in Canada it is deemed to be considered an indictable offense. Under the Canada Immigration and Refugee Protection Act (IRPA), SC 2001, c. 27, anyone who is not a Canadian citizen may be considered criminally inadmissible to the country because of past criminal convictions or commission of certain acts. (c) committing an act outside Canada that is an offense in the place where it was committed and that, if committed in Canada, would constitute an offense under an Act of Parliament punishable by a maximum term of imprisonment of at least ten years. (d) committing, on entering Canada, an offense under an Act of Parliament prescribed by regulations. In cases where an American was convicted of a single impaired driving offense, he or she may be "deemed rehabilitated" ten years after satisfying all sentencing and may be permitted to enter the country once again without a TRP. This can also be the case for misdemeanor theft convictions and other petty crimes. If anyone was physically harmed during the incident, however, the person may not be eligible for streamlined Rehabilitation. Likewise, if the crime involved a weapon the person may be still treated as inadmissible under Canadian law even decades after the offense. On December 18th, 2018, Canada enacted tough new DUI laws that treat intoxicated driving as a serious crime. Consequently, Americans with a solo DWI who reach the ten year mark after this date will no longer be eligible for Deemed Rehabilitation by virtue of time, and will need to apply for Criminal Rehabilitation to permanently solve their inadmissibility. Worried you may be inadmissible to Canada due to criminality? Phone us today for a free consultation.